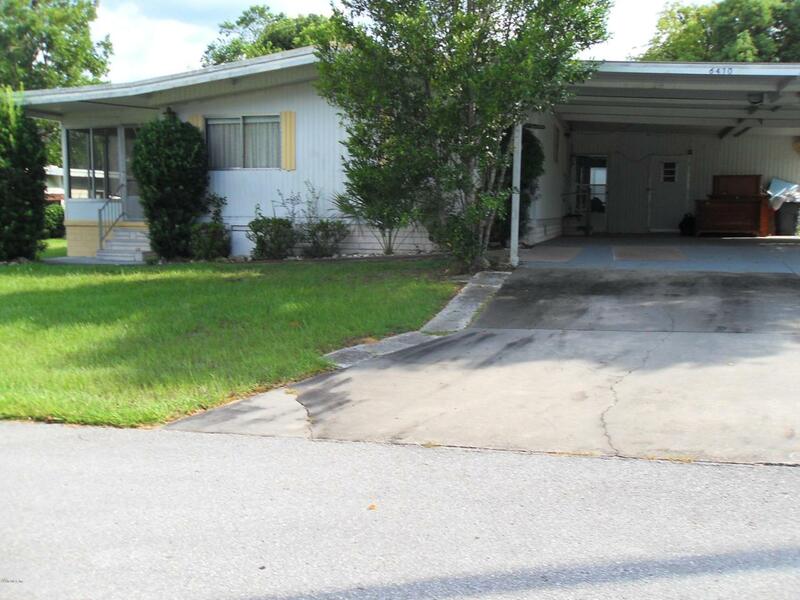 2/2 ON OCALA EAST VILLAS, LARGE BEDROOMS WITH WALK IN CLOSETS. STORAGE SHED FOR MORE SPACE. ENCLOSED FLORIDA ROOM W/WINDOW AC. HOA IS $73 INCLUDES WATER, SEWER, TRASH PICKUP, YARD WASTE PICK UP, POOL, CLUBHOUSE, LIBRARY, WORKOUT ROOM, AND MONTHLY ACTIVITIES. ALSO HAS PARKING FOR RV IN GATED LOCKED PAVED LOT.